Director of a Sodality in Milan and a noted mountaineer, Pope Pius XI addressed a group of Italian Sodalists thus: "Sodalists should be like those angels who ascent and descend the mystical latter from earth to heaven: they ascent rich in prayer, religious practices and their Eucharistic life; they descend rich in blessings, encouraged to spread their favours over the earth into the minds and hearts of all, cherishing for all a fraternal affection because possessed by the ardent love of the true Children of Mary. May they continue to ascend and descend that mystical latter at whose summit Jesus and Mary await to thank them for all the great good they have done in the past and will do in the future.” Pope Pius XI to an Italian Sodality, reported in l’Osservatore Romano, and in Madonna, Official Organ of the Sodalities of Our Lady in Ireland, May, 1935. “On one occasion, Pope Pius XI compared the Sodality of Our lady to the Milky Way, that brilliant galaxy that stretches from one horizon of the sky to the other made up of innumerable stars. “Down the centuries and across the world,” said His Holiness, “you see shining in the constellation of the Sodality the light of faith, of purity, of charity proved by good works, the flaming zeal of a wondrous apostolate that remains the envy of us all.” Each year, on the second Sunday of May, that world-wide Sodality may be seen on parade. Encircling the globe 7,000,000 Sodalists in 70,000 Sodalities recall their bond of brotherhood as Children of Mary. They hold special meetings to honour her to whom they have dedicated their lives. They renew their pledge of loyalty in her service. They look out beyond the bounds of their own Sodality and the territory of their country to rejoice in the world-wide achievements of the Sodality for Christ, Mary and the Church.” T. Mulcahy, S.J., National Director of the Sodalities of Our Lady, in Madonna, Official Organ of the Sodalities of Our Lady in Ireland, May, 1946. In May, 1951, Madonna, quotes Ven. Pope Pius XII as follows: "In keeping with this ideal there were founded, apart but still in close union and collaboration, Sodalities for the different stated of life and for all graces of the social scale, from Sodalities for priests, “intellectuals,” people of high society and university students to those for the humble shoe-blacks of Beirut and the newspaper-boys of Buenos Aires. From the medical students’ Sodality of Paris came the foundation-group of the Catholic Doctors’ Union of St. Luke. The United States of America have their nurses’ Sodalities. And if We may recall a personal experience of Our own in Munich, what richness of truly Christian family life, what virile courage in the profession of the faith resulted in the capital of Bavaria from the beneficent action of the Men’s Sodality of St. Michael’s Church, then so flourishing. Lastly, close, most close, at hand to Us through the Sodality under the title of Our Lady of the Rosary for Our Swiss Guards, you are all in a sense represented about Our Person, day and night. What good these Sodalities do in their respective circles! How their co-operation forwards common objectives as each one contributes its own special competence. 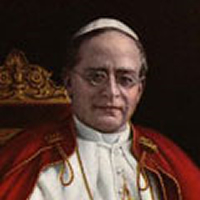 What fruits they produce in the most varied works of zeal and charity Our glorious predecessor, Pius XI, on a solemn occasion called to mind what the Sodalities ‘in their centuried, their many-centuried history’ have done in this field, in these vast horizons of good. They have co-operated, in good works wherever they proved necessary and possible, in the humblest and most exalted ways, in the most refined and the most simple, in keeping with what a Mother, Queen and Patroness such as theirs could teach souls redeemed in the Blood of Christ.” – Pope Pius XII to Sodalists, 21st January, 1945.